Guests of the event are able to partake in Charleston’s finest fare at a special discount price. From fine dining to casual, participating restaurants will feature special menu items, promotions and discounts. Diners can sample our newest restaurants, dine at old favorites and taste a variety of exceptional dishes being prepared by chefs at a great value. During the event, we strongly suggest making reservations in advance as restaurants may fill up very quickly. 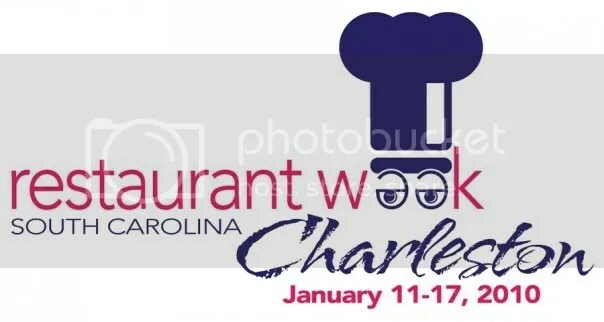 This entry was posted on January 11, 2010 at 4:49 pm and is filed under Uncategorized with tags 82 Queen, Atlanticville, Charleston Crab House, charleston dining, Charleston Grill at the Charleston Place Hotel, Charleston Restaurant Week, charleston restaurants, Circa 1886, Fleet Landing, Greater Charleston Restaurant, Grill 225, Hall’s Chop House, High Cotton, Iacofano’s Italian Bistro & Bar, Liberty Tap Room, lowcountry dining, McCrady’s Restaurant, North Towne Grill and Seafood, Oak Steakhouse, Old Village Post House, Oscar’s Place, Outback Steakhouse, Pearlz Oyster Bar, Queen Anne’s Revenge, Red’s Icehouse, Saffire Grill at the Charleston Marriott Hotel, SC restaurant week, Slightly North of Broad (SNOB), Starfish Grille, Sticky Fingers Rib House, Sunfire Grill, The Buccaneer, Tristan and Zeus Grill & Seafood. You can follow any responses to this entry through the RSS 2.0 feed. You can leave a response, or trackback from your own site.